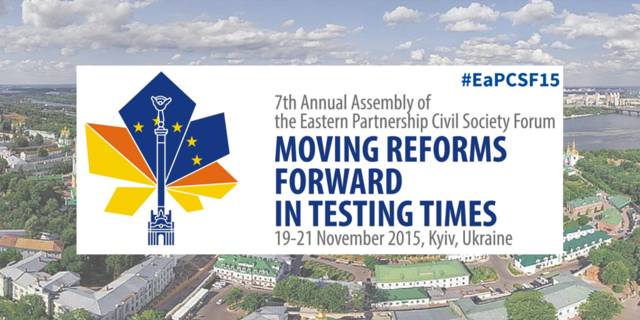 The 7th EaP CSF Annual Assembly held on 19-21 November in Kyiv has attracted over 250 participants, observers and guests who attended more than 20 sessions of different formats focusing on the most topical issues for the EaP civil society. 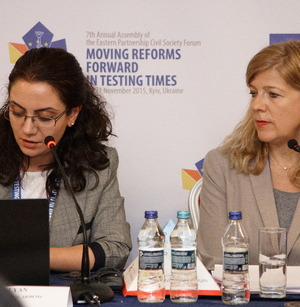 Commissioner Johannes Hahn, Prime Minister of Ukraine Arseniy Yatsenyuk, the Steering Committee Member Mikayel Hovhannisyan and Iryna Sushko representing the Ukrainian National Platform opened one of the major civil society events held this year under the title “Moving Reforms Forward in Testing Times”. “Everyone benefits when civil society is strong, proactive and independent. 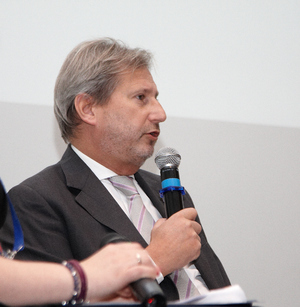 Democratic governments know they are stronger when they listen to you,” said Commissioner Hahn, adding that the EU had substantially increased its financial support through the Neighbourhood Civil Society Facility, benefiting more than 200 organisations across the region. 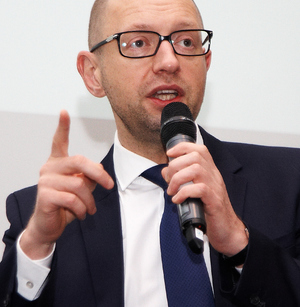 The Prime Minister Arseniy Yatsenyuk emphasised the importance of maintaining the dialogue between the civil society and the Ukrainian Government: "We need the help of civil society when the Government takes difficult decisions. And I am asking for such help." 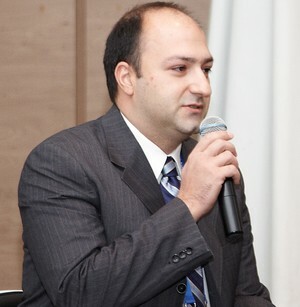 Mikayel Hovhannisyan described the duality of the current state of the EaP: "one EaP - for governments and the other - for societies". He highlighted that "the closer these two are to each other, the more synchronised they are, the better it is. 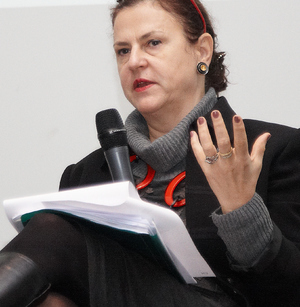 Harmonisation of the EaPs is one of the major tasks of the civil society in general and the CSF in particular." ENP review was featuring prominently on the agenda. The speech of DG NEAR Deputy Director-General Katarína Mathernová highlighting the major points of the ENP review provoked an interesting debate. According to the EaP CSF representatives, the revised ENP is not ambitious enough and does not carry a strong message or response to the current challenges. It provides weak incentive for the countries that have to work hard and implement demanding reforms. 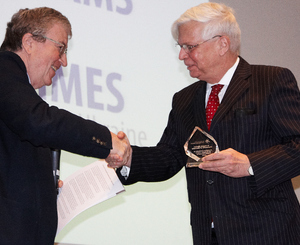 A number of awards have been presented during the event. A special award of the Steering Committee to the Chancellor of Germany Angela Merkel in recognition of her contribution to the European Union’s Eastern Partnership policy was presented by the co-chair Krzysztof Bobiński and received by the German Ambassador to Ukraine Dr Christof Weil. The event falling on the second anniversary of Euromaidan had a special ceremony dedicated to awarding three prominent activists of the movement and commemorating the victims. Working Group 4 announced the winners of the Photo Contest “Youth Creates Contacts between People! ", which was conducted in October-November 2015, in partnership with SALTO Eastern Europe and Caucasus Resource Centre. 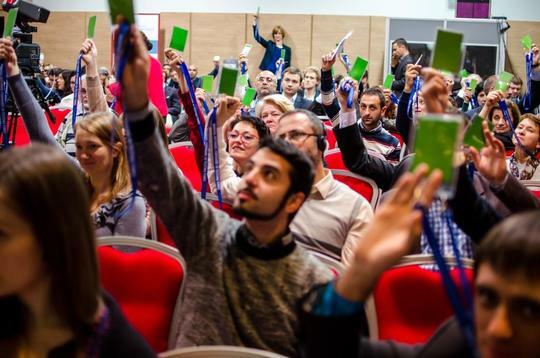 More than 50 projects and publications by the EaP CSF members were presented during the Interactive Projects and Networking Fair “Civil Society in Action”, including 15 re-granting projects, three of which have received best project ideas 2015 awards. Nine resolutions were adopted by the General Assembly as the highest decision-making body of the Forum. 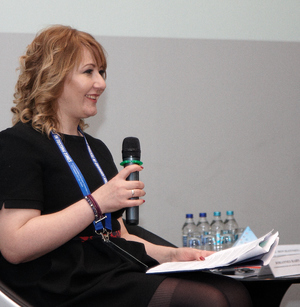 This year, the topics of major concern for the EaP CSF were conditions for civil society in Azerbaijan, constitutional reform in Armenia, political situation in Moldova, students’ rights in Belarus, Convention on the Rights of Persons with Disabilities, food safety, climate change, reopening Erasmus+ EaP Youth Window and UK’s participation in the European Convention on Human Rights. The new format of the event included two new types of sessions - stakeholders meeting initiated by Working Groups and by National Platforms – during which CSOs had an exchange with policy makers in various fields. Working Groups’ initiated stakeholders meeting focused on visa liberalization, green economy, harmonisation of digital markets, cooperation in the field of youth and education, and social rights of people with disabilities. National Platforms’ initiated meetings explored EU agreements for Armenia and Belarus, reforms under AA/DCFTA in Georgia, Moldova and Ukraine, as well as prospects for EU-Azerbaijan cooperation. During the Working Groups (WGs) meetings the results of their work in 2015 were presented and the priorities of WGs for 2016 were identified. The recommendations developed during the Annual Assembly will be used in EaP CSF advocacy based on the priorities of the Forum in the coming year. At the end of the 3-day event the participants elected the new EaP CSF Steering Committee 2015-2016 with a mandate from civil society of the EaP countries and EU member states to serve as the governing board of the Forum during a one-year term. The EaP CSF would like to thank the European Commission, National Endowment for Democracy (NED) and International Renaissance Foundation (IRF) for their generous support of the event and the Forum. You received this email because you signed up on our website.